Workplace related human rights includes respect for the individual, health and safety, development, fair and equitable employment practices, prohibiting unfair discrimination, collective bargaining arrangements and prohibiting child labour. The group has an Integrated Employee Value Model (IEVM) that covers certain work related human rights. All operations conduct an assessment against Barloworld standards set out in the model. This assessment identifies areas requiring attention and the appropriate plans are implemented. The group also conducts independent anonymous individual employee surveys (Individual Perception Monitor) in all its operations. This also covers certain workplace human rights and provides employees with an opportunity to raise concerns. The group’s Worldwide Code of Conduct, which is applicable to all employees and throughout the group, covers human rights. Our Worldwide Code of Conduct, Code of Ethics and related policies reflect our commitment to upholding human rights, including human rights in the workplace. Internally our human rights focus centers around workplace human rights, which include: respect for the individual, no unfair discrimination, fair and equitable employment practices, health and safety, individual development, freedom of association and no forced or child labour. These are addressed in our operations through elements of our Integrated Employee Value Model (IEVM) and approach to Human Capital management. 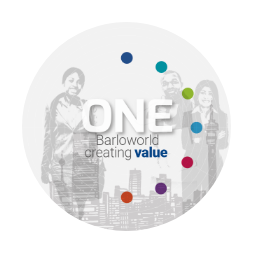 While no operations were subject to specific human rights reviews or impact assessments, all operations have conducted an assessment against Barloworld standards set out in the IEVM which include workplace human rights. This assessment identifies areas requiring attention and the appropriate plans are implemented. In addition, the group also conducts regular individual employee surveys (Individual Perception Monitor - IPM) that are anonymous and independent in all its operations which include workplace human rights aspects. The most recent survey was conducted in FY2017. Human rights are considered and addressed in the context of workplace-related human rights which include respecting the individual, health and safety, development, prohibition of unfair discrimination, collective bargaining and prohibiting forced and child labour. These and other human rights matters are addressed directly or indirectly through training programmes and initiatives conducted throughout the group including Induction and orientation programmes. Diversity workshops in South Africa also address issues which include non-discrimination, as do employment equity and work-skills planning processes. A total of 9 848 employees attended training through programmes that included: Induction; Diversity workshops: Employment Equity and Skills Forum training and the Barloworld Worldwide Code of Conduct and Ethics, which covered a range of work-related Human Rights aspects during the reporting period. This amounted to 64 187 hours of training and 56% of the total workforce. All employees responsible for security are required to obey the law and behave in accordance with the group‘s ethics, codes, policies and procedures. The board strongly believes in upholding and protecting human rights. The board has, therefore, reconstituted its committees to create a Social, Ethics and Transformation Committee, in line with the South African Companies Act, to manage and monitor, among other things, human rights issues. Regular reports on human rights performance are tabled by management to this committee. Human rights are considered and addressed in the context of workplace related human rights which includes health and safety, development, prohibiting unfair discrimination, collective bargain arrangements and prohibiting child labour. These are covered in the human capital section of due diligence process for all new investment opportunities. The group’s modus operandi with regard to investments is one where it generally acquires a business in its entirety, or a controlling stake thereof. During the due diligence process, the targeted entity is assessed from a number of perspectives, including human capital matters and these include the abovementioned work-place human rights issues. If the transaction proceeds, any gaps identified are then addressed in terms of the group’s values, code of conduct and compliance with applicable legislation, including those frameworks to which it is a signatory. All significant investment (acquisition) agreements specifically include clauses covering employees. Suppliers and contractors are expected to comply with legislation and their contractual obligations which set certain required standards of conduct. The contracts of those that do not comply will be reviewed and appropriate action taken according to the circumstances. The group sources most of its products from leading global OEMs with established human rights policies and practices. Most business units and operations outsource their security arrangements to legitimate suppliers who belong to the relevant industry association. As with all other suppliers, they are expected to comply with their contractual obligations and the law. The Barloworld Worldwide Code of Conduct includes our commitment to make responsible ownership and investment decisions, to respect and contribute to the realisation of human rights, protect the health and safety of others and ourselves, to recognise and respect personal privacy and to be proactive members of our communities. Through upholding the Barloworld Worldwide Code of Conduct in investment decisions and activity we address workplace human rights.